What are the differences between whales, dolphins and porpoises? 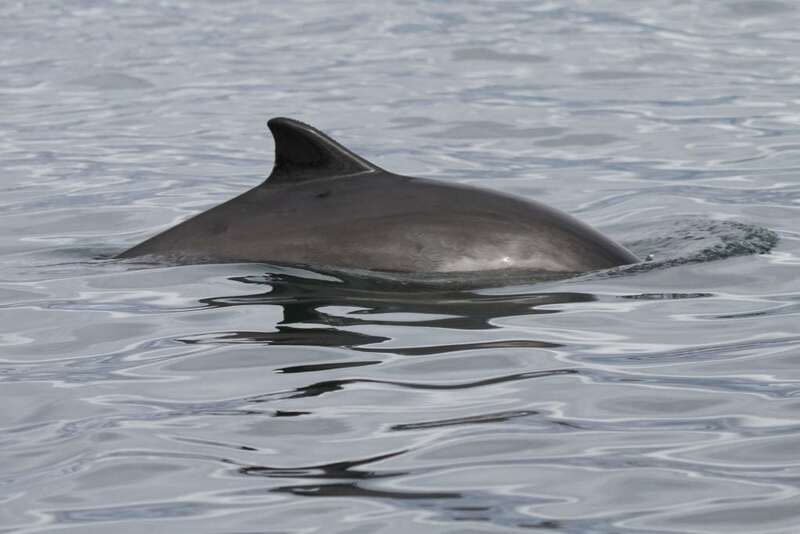 Home > About whales & dolphins > What are the differences between whales, dolphins and porpoises? Collectively, whales, dolphins and porpoises are known as cetaceans. 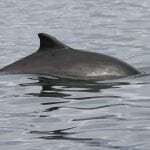 Cetacean species are divided into two groups. 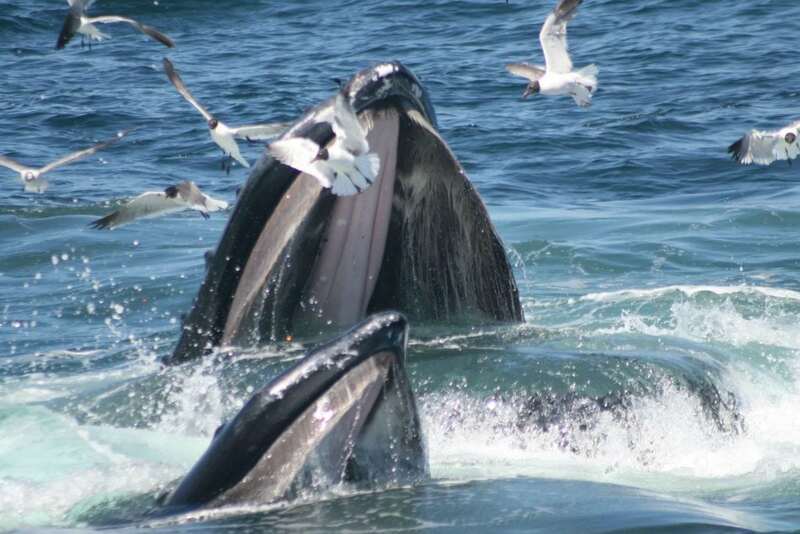 (1) Baleen whales – these are the “great whales” and as their name suggests they all have baleen plates that are used to filter their food (which consists of plankton and small species of fish). (2) Toothed whales (otherwise known as odontocetes and including all species of dolphin and porpoise) – which as you would expect, have teeth, and eat larger prey items, including at times, other marine mammals. The main differences with porpoises are that they are usually smaller than other toothed whales and instead of cone-shaped teeth they have flat, spade-shaped teeth. 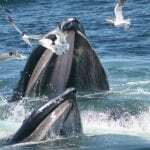 As a general rule of thumb, baleen whales are larger and slower (except the fin whale which is known as the “greyhound of the sea”) than toothed whales. Additionally, ALL baleen whales have two blowholes whereas toothed whales only have one. The biggest difference is size, with all species of porpoise being that much smaller than their dolphin cousins. Porpoises don't have the pronounced beak that most, but not all dolphins have and they also have different shaped teeth. Porpoise teeth are spade-shaped whilst dolphins are conical. A dolphin has a hooked or curved dorsal fin (except for those species that don't have a dorsal fin) whereas a porpoise has a more triangular dorsal fin, and generally speaking, dolphin bodies are leaner, although porpoises’ are a little more chunky. 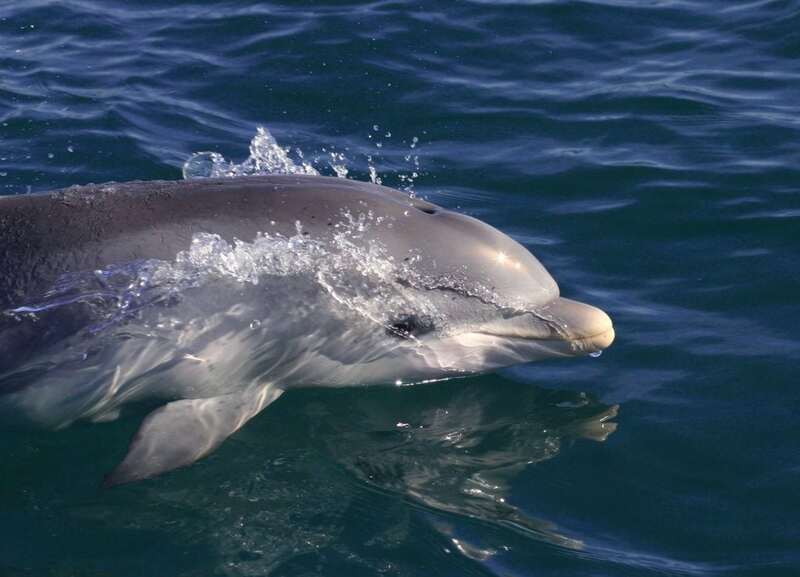 Dolphins are also more "talkative" than porpoises. The whistles made by dolphins are produced through their blowholes and although porpoises do not do this, possibly due to structural differences in the porpoise’s blowhole, they can still be pretty noisy as they "puff" the air out when they surface. 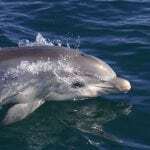 Dolphins and porpoises also have many similarities, one of which is their extreme intelligence. As research evolves, it is likely that more (or perhaps fewer) differences between dolphins and porpoises will be revealed.